Looking for our contact details? We as owners of this website are responsible for all data processing related to this website, it s functions/services and this ministry. Contact details can be found within this privacy statement and in the imprint of this website. Some data will be automatically collected, processed and stored when you visit this website (e.g. server log files). Other data are collected when you provide it to us and/or when you use some functions of this website (e.g. contacting us via email, comments, email blog subscriptions etc.). We strive to make extensive technical safeguards to protect your data from accidental or intentional manipulation, loss, destruction or access by unauthorized persons. Our security procedures are regularly reviewed and adapted to technological progress. Your personal data will not betransmitted to third parties without your expressed consent, unless you choose to make this information public on our website or when we are forced to do so by law and/or the authorities. Also some date will be transmitted to third parties when you choose to use certain functions (e.g. some social media services) on this website. For further information you can find below in the privacy statement. Your data will be only stored as long as it is neccessary in that certain case. The duration will be for example legal periods of safekeeping or the duration of an communication via email with us. After that period your data will be deleted as a matter of routine unless we have legitimate interest to store your data for a longer period. You can demand the deletion of your data at any time. Please note that data transmitted via the internet (e.g. via email communication) may be subject to security breaches. Complete protection of your data from third-party access is not possible. We cannot assume any liability for damages arising as a result of such security vulnerabilities. Our contact details which we made public in this privacy statement and in the imprint may not be used to send us unwanted advertising and information material unless we express our consent. The website provider automatically collects and stores information that your browser automatically transmits to us in “server log files”. These are: browser type and browser version, operating system used, referrer URL (the website you visited before this site), host name of the accessing computer, your internet service provider, time and date of the server request and the pages/posts that you have visited on our website and your IP address. Additional data will be collected that is necessary to prevent risk (e.g. of attacks on our IT systems). This data will not be combined with data from other sources. This processing of data is based on Art. 6 (1) (f) DSGVO/GDPR, because we have a legitimate interest. This collecting, storing and processing of data is necessary to provide the services of this website in an efficient and safe way. And it is based on Article 28 DSGVO, because we have a data processing agreement with our webhoster (1 & 1 Internet SE, Eigendorfer Str. 57, 56410 Montabaur, Germany) which regulates the security and privacy of the data. To provide this website, we use the services of a webhoster. Our webhoster is responsible for the technical infrastructure (e.g. the servers), data storage (RAM, HDD, backups etc. ), computing (processors), maintenance and security etc. This applies to all services on and provided by this website, including our e-mail-addresses. This is based on Article 6 (1) f DSGVO/GDPR and Article 28 DSGVO, because we have legitimate interests to provide the online services of this website in a safe and efficient way and we have a data processing agreement with our webhoster (1 & 1 Internet SE, Eigendorfer Str. 57, 56410 Montabaur, Germany) which regulates the security and privacy of the data. The DSGVO/GDPR grants you several rights as an user of this website. To exercise your rights, you can contact us at any time using the address given in the legal notice (included in this privacy statement). You can use the same contact information if you have further questions about the issue of privacy and data protection. Writing an informal e-mail will be enough. Right to information, blocking, correcting and deletion: You always have the right to request information about your stored data, its origin, its recipients, and the purpose of its collection at no charge. You also have the right to request that it be corrected, blocked or deleted. fulfillment of a contract automatically delivered to yourself or to a third party in a standard, machine-readable format. If you require the direct transfer of data to another responsible party, this will only be done to the extent technically feasible. Right to revocation of your consent to the processing of your data: Many data processing operations are only possible with your express consent. You may revoke your consent at any time with future effect. An informal email making this request is sufficient. The data processed before we receive your request may still be legally processed. Right to object to processing of data: You have the right to object at any time, to processing of personal data concerning you, which is based on point (e) or (f) of Article 6(1) of the DSGVO/GDPR. If you do that, we shall no longer process the personal data, unless we can demonstrate compelling legitimate grounds for the processing which override your interests, rights and freedoms, or for the establishment, exercise or defence of legal claims. Right to log a complaint with the competent supervisory agency: In the event of violations of the GDPR/DSGVO, you are entitled to log a complaint with a supervisory agency, in particular in the member state where you usually maintain your domicile, place of work or at the place where the alleged violation occurred. The right to log a complaint is in effect regardless of any other administrative or court proceedings available as legal recourses. Right to object to the collection of data in special cases; right to object to direct advertising (Art. 21 GDPR): In the event that data are processed on the basis of Art. 6 Sect. 1 lit. e or f GDPR, you have the right to at any time object to the processing of your personal data based on grounds arising from your unique situation. This also applies to any profiling based on these provisions. To determine the legal basis, on which any processing of data is based, please consult this Data Protection Declaration. If you log an objection, we will no longer process your affected personal data, unless we are in a position to present compelling protection worthy grounds for the processing of your data, that outweigh your interests, rights and freedoms or if the purpose of the processing is the claiming, exercising or defence of legal entitlements (objection pursuant to Art. 21 Sect. 1 GDPR). For contacting us because of topics other than privacy protection please use the sub page Contact. 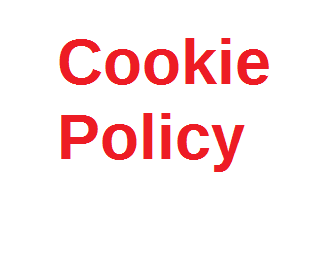 (2) You can prevent storage of cookies by choosing a “disable cookies” option in your browser settings. In your webbrowser you can manually delete certain or all cookies. But this can limit the functionality of our Internet offers as a result! Limitation of liability for internal content: The content of our website has been compiled with meticulous care and to the best of our knowledge. However we cannot assume any liability for the up-to-dateness, completeness or accuracy of any of the pages. This website uses Secure Sockets Layer (SSL) technology to provide you with a safe, secure surfing experience. SSL technology enables encryption (scrambling) of sensitive information, e.g. including passwords, while you are surfing on our website. You can recognise the SSL technology by the browser address “https” in your browser or if the browser address is changing from “http” to “https”. You can also recognise it by the “lock symbol” in your browser address. For this purpose your browser has to establish a direct connection to Google servers. Google thus becomes aware that our web page was accessed via your IP address. The use of Google Web fonts is done in the interest of a uniform and attractive presentation of our website. This constitutes a justified interest pursuant to Art. 6 (1) (f) DSGVO/GDPR. The articles of the message e.g. on our sub page “Message For You! 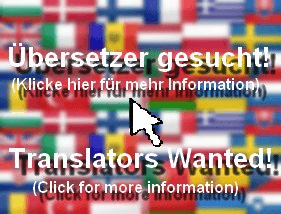 (Choose your Language” are already correct translations and NOT from Google Translate. You can choose your language on that sub page and read the message in a correct translation. See text above on this page! The data from Revolver Maps are processed in Germany. By integrating the widget on our site, no cookies are set and stored and no IP addresses are released. The storing and processing of data caused by the service is based on Art. 6 (1) (f) DSGVO/GDPR. We have a legitimate interest in analyzing user behavior to optimize both its website and its services. The storing of “WordPress Stats” cookies is based on Art. 6 (1) (f) DSGVO/GDPR and Art. 28 DSGVO/GDPR. We have a legitimate interest in analyzing user behavior to optimize both our website and its services. And we have a data processing agreement with Aut O’Mattic which regulates the security and privacy of the data. n some cases this may have the effect that this website will not be displayed properly and that some functions/services will stop working or will not work properly. This processing etc. of data is based on Art. 6 (1) (f) DSGVO/GDPR and on Art 28 DSGVO/GDPR. We have a legitimate interest that our website will be displayed properly and that our users can use the functions which are related to the use of java script from Aut O’Mattic. And we have a data processing agreement with Aut O’Mattic which regulates the security and privacy of the data. This online offer may contain thirdparty contents such as YouTube videos, maps from Google Maps, RSS feeds or graphics from other websites. This always requires that the providers of these contents (hereinafter referred to as “thirdparty providers”) obtain knowledge of the user’s IP address, since without the IP address they could not transfer the contents to the browser of the respective user. The IP address is thus required to display these contents. We endeavour to only use contents whose respective providers use the IP address solely for the purpose of transferring the contents. However, we have no influence on the storage of the IP address by thirdparty providers for statistical purposes. This processing etc. of data is based on Art. 6 (1) (f) DSGVO/GDPR. We have a legitimate interest to provide this content and functions/services to thr users of our website. The information about the social plugins also applies to using the social media channels via the sharing tool Shareaholic which we use on this website. For example Facebook (“Like”) button of Facebook Inc., 1601 S. California Ave, Palo Alto, CA 94304, USA (if you do not live in the USA or Canada, then this party is responsible for processing data: Facebook Ireland Ltd., 4 Grand Canal Square, Grand Canal Harbour, Dublin 2, Ireland). The button is marked with the Facebook logo and the addition “Like” or “Share”. Twitter, operated by Twitter, Inc., 795 Folsom St., Suite 600, San Francisco, CA 94107, USA and Google, operated by Google Inc., 1600 Amphitheatre Parkway, Mountain View, CA 94043, USA. More information about other social media plugins, see below. When you communicate with us via social media channels, then your data will be sent, stored and transmitted by us and by the provider of the platform/network. This is based on our justified interest of being able to communicate with our users according to Article 6 (1) f. of the DSGVO/GDPR. Your data will only be used to process you request and will not be shared with third parties. Your data will be stored as long as needed to process your request. You have the right to object at any time, to processing of your personal data. In this case, your request can`t be processed and any further communication via these channels will be impossible. When you access one of our websites containing any of these social plugins, the plugin provider may store a cookie in your browser. We have no control over the scope of the data collected by the provider by means of the plugin. The plugins may provide their hosts with information such as the date and time of your visit to our websites, your IP address, or the type of browser you use. If you are logged on to your account with the plugin provider while visiting our websites, the provider may match this information and any data you enter, should you interact with the plugins, to your user account, for instance if you click the corresponding button on our website or post a comment. r as well as your related rights and opt-out possibilities to protect your privacy, please see the privacy policies of the certain services. Our Webpage contains links to the social network Facebook and functions to share, like and follow on Facebook via the plugin Shareaholic (in the privacy statement you can find more information about the Shareaholic plugin). The services of Facebook are provided by Facebook Inc., 1 Hacker Way, Menlo Park, California 94025, USA. If you do not live in the USA or Canada, then this party is responsible for processing data: Facebook Ireland Ltd., 4 Grand Canal Square, Grand Canal Harbour, Dublin 2, Ireland. You can identify the links and the functions of the plugin by symbols that contain the Facebook logo or the thumb-up or by the words “find us on (Facebook)” or by other distinct references to Facebook on our website. If you don’t want that Facebook will be able to link your visit of our website to your Facebook account, then please log out of your Facebook account. The use of the Facebook plug-in is based on Art. 6 Sect. 1 lit. f GDPR/DSGVO. We have a legitimate interest in being as visible as possible on social media. The use of Twitter plug-ins is based on Art. 6 Sect. 1 lit. f GDPR/DSGVO. We have a legitimate interest in being as visible as possible on social media. On our website we have embedded videos with the plug-ins of the YouTube platform, which is being operated by YouTube, LLC, 901 Cherry Ave., San Bruno, CA 94066, USA. On this website we use PayPal (donate-button and/or link). Through PayPal you can support us with a gift in form of money in a simple way. The provider of this service is PayPal (Europe) S.à.r.l & Cie, S.C.A. (22-24 Boulevard Royal, L-2449 Luxembourg. Please consider that we are not registered as a charity. This means that we are not able to issue tax receipts for a possible tax reduction. Using PayPal will establish a connection between your browser and PayPals servers. The data that you enter while using the button or that you stored there before will be transmitted to PayPal. Your IP-address will also be transmitted. We are not able to see this data. But PayPal will transmitt certain data to us which is required for purposes of accounting and taxes. If you use PayPal, the data you provide will be supplied to PayPal based on Art. 6 (1) (a) (your expressed consent) and Art. 6 (1) (b) DSGVO/GDPR (Processing for contract purposes, in german law a gift or donation is a contract). You have the option to revoke your consent at any time with future effect. It does not affect the processing of data previously collected. This site contains more Social Buttons by other social media services. After clicking the inline graphic/button of a social media service, you will be redirected to the page of the respective provider. Please gather information on dealing with your personal data when using this website, by reading the privacy policies of the certain service. If you use these social buttons and/or functions to share content, then you thereby express your explicit consent to the transmission, storing, processing and alanyzing of your data pursuant to Art. 6 (1) (a) (your expressed consent). You have the option to revoke your consent at any time with future effect. It does not affect the processing of data previously collected. With the using of the Shareaholic plugin to share our posts you express your consent to the transmission, storage and processing of the data which is necessary to share the post per Art. 6 (1) (a) DSGVO/GDPR. You may revoke your consent at any time with future effect. An informal email making this request is sufficient. The data processed before we receive your request may still be legally processed. Every transmission, storage and processing of personal data caused by this plugin other than this is on the basis of on Art. 6 (1) (f) DSGVO/GDPR. This website is dedicated to the cause of sharing the World’s Best Message, so the website operator has a legitimate interest to assist the website users by providing tools (plugins) for easy and convenient sharing of our content. You can get notified via e-mail when we publish new blog posts. Please read the information on the page “E-Mail Subscription”. For this subscription we use the services of Aut O’Mattic A8C Ireland Limited, Business Centre, No.1 Lower Mayor Street, IFSC Dublin 1, IRELAND (Aut O’Mattic). To process this (blog post) e-mail subcription following data will be transmitted, stored and processed: your e-mail address and the ID of our blog. When you register for the first time, then additional server data (IP address, URIs and the http request headers) will be collected to prevent spam and abuse. When you subscribe, you will be sent an e-mail which contains a link that you must click to activate your subscription. In the mails that notify you of new blog posts you will find a link that you can use to cancel your subscription and to update your settings. Your email address will only be used for these purposes. The transmission, storing and processing of the data which is necessary to process this (blog post) e-mail subcription is based on your consent, that you express when you subscribe to the e-mail notifications (Art. 6 (1) (a) DSGVO/GDPR) and on Art. 28 DSGVO/GDPR and we have a data processing agreement with Aut O’Mattic which regulates the security and privacy of the data. You have the option to revoke your consent at any time with future effect by writing us an informal e-mail. It does not affect the processing of data previously collected. Please also read the information on the page “Information about comments on this website” and About the comment subscriptions: Please read the information on the page “Comment Subscriptions”. When you leave a comment (they are normally public) on this website, then additional data will be stored along with your comment: the time and data of your comment, your e-mail address and (if provided) your user name. Please also read the information about the service Gravatar in this privacy statement, because we use this service to enhance the comments. The storing of the comments and related data is based on your consent (Art. 6 Abs. 1 lit. a DSGVO/GDPR). You have the option to revoke your consent at any time with future effect. It does not affect the processing of data previously collected. You can do this by writing an informal e-mail. IP Address: When you post a comment, your IP address while be stored and will be deleted automatically after 7 days. This is necessary because we need this data in case of violation of laws (e.g. insulting comments or comments containing illegal propaganda) to be able to take legal steps against the author or to provide this information to law enforcement authorities. Comment Notifications: Please also read the information on the page “Comment Subscriptions”. When you post a comment there is the function that you can subscribe to the comments following your comment on that particular blog post. You then will be sent an automatic notification via email when there are new comments on that particular blog post. To activate this function, check the box „Notify me of follow-up comments by email“. When you subscribe to the comment notifications you will be sent an e-mail to confirm that you are the owner of the email address that has been entered. Your subscription to comments may be terminated at any time via a link that is provided with the notification emails. The data that you entered while subscribing to comments will then be deleted. But if you provided these data while using other services (e.g. e-mail subscription for blog posts), we will continue to use your data for these other purposes. The transmission, storing and processing of the data which is necessary to process this (blog post) e-mail subcription is based on your consent, that you express when you subscribe to the e-mail notifications (Art. 6 (1) (a) DSGVO/GDPR) and on Art. 28 DSGVO/GDPR. We have a data processing agreement with Aut O’Mattic which regulates the security and privacy of the data. Duration of storing of comments: Your comments and the related data (e.g. e-mail address) will be stored and they will be (partially public/visible) on our website until the commented content (blog post or page) will be permanently deleted or when the comments will have to be deleted by us because of legal reasons (e.g. in case of insulting comments). On our webpage (the comments) we use the services of Gravatar by Aut O’Mattic A8C Ireland Limited, Business Centre, No.1 Lower Mayor Street, IFSC Dublin 1, IRELAND (Aut O’Mattic). Gravatar is a service, where users can register and store profile pictures and their email address. When users with that specific email adress write posts or comments on other websites (mostly blogs), then their profile pictures can be displayed with their posts or comments. In that process, the email adress provided by the users will be transmitted (encrypted) to Gravatar, so that they can check if there is a Gravatar profile connected to that email adress. This is the only purpose of transmitting the email adress, it will not be used for other purposes and will be deleted afterwards. The use of Gravatar is based on our legitimate interests according to Art. 6 (1) (f) DSGVO/GDPR and on Art. 28 DSGVO/GDPR, because by using Gravatar we can offer users who publish posts/comments the function to personalise them by adding a profile picture. And we have a data processing agreement with Aut O’Mattic which regulates the security and privacy of the data. When these pictures are displayed, then Gravatar will receive the IP address of the user, because this is necessary when a browser communicates with a service like this. If you do not want that a profile picture (that is linked to the email adress you used to register at Gravatar) will be displayed with your comments, then please use an email adress which is not registered at Gravatar). You can also use an anonymous email or stop using the comments function on our website. This part of our privacy statement has been written by the „Datenschutz-Generator“ (tool for making privacy policies) by RA Dr. Thomas Schwenke (a lawyer from Germany) and has been translated into english by us. When you write us an e-mail, then there will be data transferred to us and we will store and process this data. For example, this is your e-mail-address and the content of your mail. This is based on our justified interest of being able to communicate with our users according to Article 6 (1) f. of the DSGVO/GDPR and Article 28 DSGVO, because we have a data processing agreement with our webhoster (1 & 1 Internet SE, Eigendorfer Str. 57, 56410 Montabaur, Germany) which regulates the security and privacy of the data on the servers which handle our e-mails. Your data will only be used to process you request and will not be shared with third parties. Your data will be stored as long as needed to process your request. You have the right to object at any time, to processing of your personal data. In this case, your request can`t be processed and any communication via e-mail will be impossible. We reserve the right to modify this privacy statement at any time, in accordance with the data protection legislation. Current state is 30th June 2018. We created this website with WordPress, a great platform that we like to recommend to others. Datenschutzerklärungen müssen auf jeder Webseite rechtlich gesehen vorhanden sein. Im Folgenden findest Du deshalb einige Informationen zum Thema Datenschutz auf dieser Internetseite. Zum Zwecke der Verbesserung unserer Webangebote setzen wir sogenannte Cookies ein. Unsere Cookies richten auf dem Rechner keinen Schaden an und enthalten keine Viren. Cookies sind Text-Informations-Dateien, welche Dein Web-Browser auf Deinem Computer abspeichert, wenn Du unsere Internetseite öffnest. Wir verwenden diese Cookie-Technologie, um unsere Webseite auf bevorzugte Interessengebiete zuzuschneiden. Zudem verwenden manche Dienste Cookies, um bestimmte Funktionen ausführen zu können. Genaueres darüber kannst Du den einzelnen Datenschutzerklärungen auf dieser Seite entnehmen. Cookies, die zur Bereitstellung dieser Website oder zur Bereitstellung bestimmter, von Dir gewünschter Funktionen erforderlich sind, werden gesetzt auf Grundlage von Art. 6 Abs. 1 lit. f DSGVO. Denn wir haben als Websitebetreiber ein berechtigtes Interesse an der Speicherung von Cookies zur technisch fehlerfreien und optimierten Bereitstellung unserer Dienste. Soweit andere Cookies (z.B. Cookies zur Analyse Deines Surfverhaltens) gespeichert werden, werden diese in dieser Datenschutzerklärung gesondert behandelt. Du kannst die Speicherung der Cookies durch eine entsprechende Einstellung Deiner Browser-Software verhindern; wir weisen Dich jedoch darauf hin, dass Du in diesem Fall gegebenenfalls nicht sämtliche Funktionen dieser Website vollumfänglich werden nutzen kannst. Du kannst in Deinem Browser alle oder einzelne Cookies löschen. Wir bemühen uns umfangreiche technische Schutzvorkehrungen zu treffen, um Deine Daten vor zufälligen oder vorsätzlichen Manipulationen, Verlust, Zerstörung oder dem Zugriff unberechtigter Personen zu schützen. Unsere Sicherheitsverfahren werden regelmäßig überprüft und dem technologischen Fortschritt angepasst. Diese Datenschutzerklärung gibt Dir einen Überblick darüber, was mit Deinen personenbezogenen Daten passiert, wenn Du unsere Website besuchst und die angebotenen Dienste nutzt. Personenbezogene Daten sind alle Daten, mit denen Du persönlich identifiziert werden kannst. Diese Datenschutzerklärung erläutert, welche Daten wir erheben, verarbeiten und speichern, und wofür (wie und zu welchem Zweck) wir sie nutzen. Wir als Betreiber dieser Seite sind für alle Datenverarbeitungsprozesse, die mit dieser Website und diesem Dienst zusammenhängen verantwortlich. Kontaktdaten findest Du in dieser Datenschutzerklärung und im Impressum. Manche Daten werden automatisch erhoben, verarbeitet und gespeichert, sobald Du diese Website betrittst (z.B. Server Log Files). Andere Daten werden dadurch erhoben, dass Du sie uns mitteilst bzw. bestimmte Funktionen dieser Website nutzt (z.B. E-Mail-Kontakt, Kommentare, E-Mail-Blog-Abo etc.). Manche Daten werden erhoben, verarbeitet und gespeichert um die sichere und technisch einwandfreie Bereitstellung dieser Website und ihrer Funktionen zu gewährleisten. Andere Daten können zur Analyse des Nutzerverhaltens benutzt werden (z.B. Besucherstatistiken). Wir nehmen den Schutz Deiner persönlichen Daten sehr ernst. Wir behandeln Deine personenbezogenen Daten vertraulich und entsprechend der gesetzlichen Datenschutzvorschriften sowie dieser Datenschutzerklärung. Diese Daten werden ohne Ihre ausdrückliche Zustimmung nicht an Dritte weitergegeben, es sei denn, Du hast diese selbst über unsere Website öffentlich gemacht oder Du hast Deine ausdrückliche Einwilligung erteilt oder eine gesetzliche Vorschrift zwingt zur Herausgabe dieser Daten. Außerdem werden manche Daten dann an “Dritte” weitergegeben, wenn Du z.B. manche Social Media Dienste benutzt (siehe dazu bitte die Datenschutzerklärungen im Folgenden auf dieser Seite). Die Daten werden nur solange aufbewahrt wie es in dem speziellen Fall notwendig ist. Die Dauer ergibt sich z.B. aus gesetzlichen Aufbewahrungsfristen. Oder daraus, wie lange eine E-Mail-Kommunikation mit uns läuft. Nach Ablauf der Frist werden diese Daten routinemäßig von uns gelöscht, sofern kein berechtigtes Interesse an der Weiterspeicherung besteht. Du kannst jederzeit eine Löschung Deiner Daten verlangen. Der Nutzung von in dieser Datenschutzerklärung veröffentlichten Kontaktdaten durch Dritte zur Übersendung von nicht ausdrücklich angeforderter Werbung und Informationsmaterialien wird hiermit ausdrücklich widersprochen. Wenn Du uns wegen anderen Themen außer Datenschutz kontaktieren möchtest, nutze bitte die Unterseite Kontakt. Du hast das Recht, jederzeit unentgeltlich Auskunft über Herkunft, Empfänger und Zweck Deiner gespeicherten personenbezogenen Daten zu erhalten. Außerdem hast Du ein Recht darauf, die Berichtigung, Sperrung oder Löschung dieser Daten zu verlangen. Um von diesen und den unten genannten Rechten Gebrauch zu machen und zu weiteren Fragen zum Thema Datenschutz kannst Du Dich jederzeit an die in dieser Datenschutzerklärung angegebenen verantwortlichen Stelle wenden, z.B. per E-Mail. Recht auf Beschwerde: Im Falle datenschutzrechtlicher Verstöße steht Dir ein Beschwerderecht bei einer zuständigen Aufsichtsbehörde zu, insbesondere in dem Mitgliedstaat in welchem Du Dich gewöhnlich aufhältst, in welchem Dein Arbeitsplatz ist oder in welchem der mutmaßliche Verstoß passiert ist. Dieses Recht auf Beschwerde besteht unbeschadet von anderweitigen verwaltungsrechtlichen oder gerichtlichen Rechtsbehelfen. Recht auf Datenübertragbarkeit: Du hast das Recht, Dir die Daten, die wir auf Grundlage Deiner Einwilligung oder in Erfüllung eines Vertrags automatisiert verarbeiten, an Dich oder an einen Dritten in einem gängigen, maschinenlesbaren Format aushändigen zu lassen. Sofern Du die direkte Übertragung der Daten an einen anderen Verantwortlichen verlangst, erfolgt dies nur, soweit es technisch machbar ist. Recht auf Widerspruch gegen die Datenverarbeitung: Du hast das Recht, jederzeit gegen die Verarbeitung Deiner personenbezogenen Daten aufgrund von Art. 6 Abs. 1 lit. f DSGVO, Widerspruch einzulegen. In diesem Falle werden wir Deine personenbezogenen Daten nicht mehr verarbeiten, es sei denn, wir können zwingende schutzwürdige Gründe für die Verarbeitung nachweisen, die Deinen Interessen, Rechten und Freiheiten überwiegen, oder die Verarbeitung dient der Geltendmachung, Ausübung oder Verteidigung von Rechtsansprüchen. Wenn die Verarbeitung Deiner personenbezogenen Daten unrechtmäßig geschah bzw. geschieht, kannst Du statt der Löschung die Einschränkung der Datenverarbeitung verlangen. Wenn Du die Verarbeitung Deiner personenbezogenen Daten eingeschränkt hast, dann dürfen diese Daten nur mit Deiner Einwilligung oder zur Geltendmachung, Ausübung oder Verteidigung von Rechtsansprüchen oder zum Schutz der Rechte einer anderen natürlichen oder juristischen Person oder aus Gründen eines wichtigen öffentlichen Interesses der Europäischen Union oder eines Mitgliedstaats verarbeitet werden. Eine Speicherung bleibt davon unberührt. Recht auf Widerspruch gegen die Datenerhebung in besonderen Fällen sowie gegen Direktwerbung (Art. 21 DSGVO): Wenn die Datenverarbeitung auf Grundlage von Art. 6 Abs. 1 lit. e oder f DSGVO erfolgt, dann hast Du jederzeit das Recht, aus Gründen, die sich aus Deiner besonderen Situation ergeben, gegen die Verarbeitung Deiner personenbezogenen Daten Widerspruch einzulegen. Dies gilt auch für ein auf diese Bestimmungen gestütztes Profiling. Die jeweilige Rechtsgrundlage, auf denen eine Verarbeitung beruht, findest Du in dieser Datenschutzerklärung. Wenn Du Widerspruch einlegst, werden wir Deine betroffenen personenbezogenen Daten nicht mehr verarbeiten, es sei denn, wir können zwingende schutzwürdige Gründe für die Verarbeitung nachweisen, die Deine Interessen, Rechte und Freiheiten überwiegen oder die Verarbeitung dient der Geltendmachung, Ausübung oder Verteidigung von Rechtsansprüchen (Widerspruch nach Art. 21 Abs. 1 DSGVO). Recht auf Widerruf der Einwilligungen: Du kannst Deine Einwilligung(en) zur Datenverarbeitung jederzeit widerrufen, aber ein Widerruf wirkt sich nicht auf die Wirksamkeit von in der Vergangenheit liegenden Datenverarbeitungsvorgängen aus. Zum Widerruf reicht eine kurze und formlose Nachricht (z.B. per E-Mail) an die in dieser Datenschutzerklärung angegebenen verantwortlichen Stelle. Wir erheben und speichern automatisch Informationen in Log Files des Servers, die Dein Browser automatisch an uns übermittelt. Dies sind Browsertyp/ Browserversion, verwendetes Betriebssystem, Referrer URL (die zuvor besuchte Seite), Hostname des zugreifenden Rechners (IP-Adresse), Dein Internetprovider, Datum und Uhrzeit der Serveranfrage, besuchte Seiten/Inhalte dieser Website und sonstige Informationen, die der Gefahrenabwehr im Falle von Angriffen auf die IT-Systeme dieser Seite dienen. Diese Daten werden nicht mit anderen Datenquellen zusammengeführt. Rechtsgrundlage für diese Datenverarbeitung ist Art. 6 Abs. 1 lit. f DSGVO, wir haben ein berechtigtes Interesse, da diese Datenverarbeitung notwendig ist, um dieses Onlineangebot effizient und sicher zur Verfügung stellen zu können. Eine weitere Rechtsgrundlage ist Art. 28 DSGVO, denn wir haben einen Auftrags(-daten-)verarbeitungsvertrag mit unserem Webhoster (1 & 1 Internet SE, Eigendorfer Str. 57, 56410 Montabaur, Deutschland) geschlossen, durch den die Einhaltung des Datenschutzes und der Datensicherheit geregelt ist. Diese Daten werden von uns vertraulich behandelt und nicht an Dritte weitergegeben, es sei denn, Du hast diese selbst über unsere Website öffentlich gemacht (z.B. Kommentare) oder Du hast Deine ausdrückliche Einwilligung erteilt (z.B. wenn Du bestimmte Dienste nutzt, die dies veranlassen, wenn Du sie aktiv nutzt wie z.B. das E-Mail-Abo, siehe dazu auch die speziellen Datenschutzerklärungen auf dieser Seite) oder eine gesetzliche Vorschrift zwingt zur Herausgabe dieser Daten. Durch die Nutzung dieser Webseite erklärst Du Dich mit der Analyse der über Dich erhobenen und anonymisierten Daten einverstanden. Rechtsgrundlagen sind bei Deiner Einwilligung Art. 6 Abs. 1 lit. a DSGVO, Art. 6 Abs. 1 lit. f DSGVO bei unserem berechtigten Interesse und bei gesetzlicher Vorschrift Art. 6 Abs. 1 lit. c DSGVO. Um dieses Onlineangebot betreiben zu können, nutzen wir die Dienste eines Webhosters, der z. B. die technische Infrastruktur (z.B. Server), Speicher, Rechenleistung, Wartung, Sicherheit etc. stellt und für uns verwaltet. Das bezieht sich auf alle Dienste, die über diese Internetseite laufen, inkl. der E-Mails. Es werden dabei folgende Daten von uns bzw. unserem Webhoster erhoben, verarbeitet und gespeichert: Inhaltsdaten, Bestandsdaten, Kontaktdaten, Vertragsdaten, Nutzungsdaten, Meta- und Kommunikationsdaten von Kunden, Interessenten und Nutzern dieser Website, siehe dazu auch den Abschnitt „Server Log Files“ in dieser Datenschutzerklärung. Grundlage hierfür ist Art. 6 Abs. 1 lit. f DSGVO in Verbindung mit Art. 28 DSGVO, denn wir haben ein berechtigtes Interesse daran, dieses Onlineangebot sicher und effizient zur Verfügung stellen zu können und weiterhin haben wir einen Auftragsverarbeitungsvertrag mit dem Hoster (1 & 1 Internet SE, Eigendorfer Str. 57, 56410 Montabaur, Deutschland) abgeschlossen, durch den die Einhaltung des Datenschutzes und der Datensicherheit geregelt ist. Diese Webseite nutzt aus Gründen der Sicherheit und zum Schutz der Übertragung vertraulicher Inhalte, wie zum Beispiel der Anfragen, die Du an uns als Seitenbetreiber sendest, eine SSL-Verschlüsselung (SSL-Secure Sockets Layer). Eine verschlüsselte Verbindung erkennst Du daran, dass die Adresszeile des Browsers von “http” auf “https” wechselt und an dem Schloss-Symbol in Deiner Browserzeile. Wenn die SSL-Verschlüsselung aktiviert ist, können die Daten, die Du an uns übermittelst, nicht von Dritten mitgelesen werden. Die Artikel der Botschaft, z.B. auf unserer Unterseite “Botschaft Für Dich! (Wähle Deine Sprache)”, sind bereits in korrekten Übersetzungen vorhanden und NICHT von Google Translate. Du kannst dort auf der Unterseite Deine Sprache wählen und die Botschaft in einer richtigen Übersetzung lesen. Bitte beachte auch die allgemeinen Hinweise zu Deinem Recht auf Widerspruch gegen Datenverarbeitung und auf den Widerruf Deiner Einwilligung zur Datenverarbeitung. Du findest mehr dazu in dieser Datenschutzerklärung. Siehe Text weiter oben auf dieser Seite! Informationen über Deinen Besuch, wie z.B. Deine IP-Adresse, werden gespeichert und ausgewertet. Diese Daten werden von uns vertraulich behandelt und nicht an Dritte weitergegeben, es sei denn, bestimmte Dienste veranlassen dies (siehe Datenschutzerklärungen auf dieser Seite), Du hast diese selbst über unsere Website öffentlich gemacht oder Du hast Deine ausdrückliche Einwilligung erteilt oder eine gesetzliche Vorschrift zwingt zur Herausgabe dieser Daten. Durch die Nutzung dieser Webseite erklärst Du Dich mit der Analyse der über Dich erhobenen und anonymisierten Daten zu dem zuvor benannten Zweck einverstanden. Rechtsgrundlage für diese Datenverarbeitung ist Art. 6 Abs. 1 lit. f DSGVO, wir haben ein berechtigtes Interesse, da diese Datenverarbeitung notwendig ist, um dieses Onlineangebot effizient und sicher zur Verfügung stellen zu können. Weiterhin benötigen wir die IP-Adresse zur Abwehr von Angriffen auf unsere IT-Systeme, um im Falle von missbräuchlicher Nutzung rechtlich Schritte gegen den Verursacher einleiten zu können oder wenn Behörden von uns die Herausgabe dieser Daten fordern. Die mit diesem Dienst zusammenhängende Datenverarbeitung erfolgt auf Grundlage von Art. 6 Abs. 1 lit. f DSGVO. Wir haben ein berechtigtes Interesse an der anonymisierten Analyse des Nutzerverhaltens, um unser Webangebot weiter zu verbessern. Diese Website benutzt WordPress.com-Stats, ein Tool zur statistischen Auswertung der Besucherzugriffe, betrieben von Aut O’Mattic A8C Ireland Limited Business Centre, No.1 Lower Mayor Street, IFSC Dublin 1, IRELAND, unter Einsatz der Trackingtechnologie von Quantcast Inc., 201 3rd St, Floor 2, San Francisco, CA 94103-3153, USA. WordPress.com-Stats verwendet sog. “Cookies”, Textdateien, die auf Deinem Computer gespeichert werden und die eine Analyse der Benutzung der Website durch Dich ermöglichen. Die durch den Cookie erzeugten Informationen über Deine Benutzung dieses Internetangebotes werden auf einem Server in den USA gespeichert. Die IP-Adresse wird sofort nach der Verarbeitung und vor deren Speicherung anonymisiert. Du kannst die Installation der Cookies durch eine entsprechende Einstellung Deiner Browser-Software verhindern; wir weisen Dich jedoch darauf hin, dass Du in diesem Fall gegebenenfalls nicht sämtliche Funktionen dieser Website vollumfänglich nutzen kannst. Du kannst der Erhebung und Nutzung der Daten durch Quantcast mit Wirkung für die Zukunft widersprechen, indem Du an dieser Stelle durch einen Klick auf den Link “Click here to opt-out” ein Opt-Out-Cookie in Deinem Browser setzt: http://www.quantcast.com/opt-out. Solltest Du alle Cookies auf Deinem Rechner löschen, musst Du das Opt-Out-Cookie erneut setzen. Die Speicherung dieser “WordPress Stats”-Cookies erfolgt auf Grundlage von Art. 6 Abs. 1 lit. f DSGVO in Verbindung mit Art. 28 DSGVO. Wir haben ein berechtigtes Interesse an der anonymisierten Analyse des Nutzerverhaltens, um unser Webangebot weiter zu verbessern. Weiterhin haben wir einen Auftragsverarbeitungsvertrag mit dem Aut O’Mattic A8C Ireland Limited abgeschlossen, durch den die Einhaltung des Datenschutzes und der Datensicherheit geregelt ist. Auf unserer Seite wird Java-Script Code der Website www.wordpress.com, des Unternehmens Aut O’Mattic A8C Ireland Limited, Business Centre, No.1 Lower Mayor Street, IFSC Dublin 1, IRELAND (Aut O’Mattic) nachgeladen. Wenn Du in Deinem Browser Java-Script aktiviert und keinen Java-Script-Blocker installiert hast, wird Dein Browser ggf. personenbezogene Daten an Aut O’Mattic übermitteln. Uns ist nicht bekannt, welche Daten Aut O’Mattic mit den erhaltenen Daten verknüpft und zu welchen Zwecken Aut O’Mattic diese Daten verwendet. Weitere Informationen hierzu findest Du in der Datenschutzerklärung von Aut O’Mattic (http://automattic.com/privacy/). Um die Ausführung von Java-Script Code von Aut O’Mattic insgesamt zu verhindern, kannst Du einen Java-Script-Blocker installieren (z.B. www.noscript.net oder www.ghostery.com). Unter Umständen kann dies dazu führen, dass die Inhalte dieser Website nicht korrekt angezeigt werden und dass manche Funktionen nicht oder nur eingeschränkt funktionieren könnten. Diese Datenverarbeitung erfolgt auf Grundlage von Art. 6 Abs. 1 lit. f DSGVO in Verbindung mit Art. 28 DSGVO. Wir haben ein berechtigtes Interesse daran, dass unsere Website unseren Besuchern korrekt dargestellt wird und dass die mit der Nutzung von Java-Script von Aut O’Mattic zusammenhängenden Funktionen für unsere Besucher nutzbar sind. Weiterhin haben wir einen Auftragsverarbeitungsvertrag mit Aut O’Mattic abgeschlossen, durch den die Einhaltung des Datenschutzes und der Datensicherheit geregelt ist. Diese Datenverarbeitung erfolgt auf Grundlage von Art. 6 Abs. 1 lit. f DSGVO. Wir haben ein berechtigtes Interesse daran, den Nutzern unserer Website diese Inhalte und Dienste bzw. Funktionen anzubieten. Die Hinweise zu den Social Plugins gelten auch für die Nutzung dieser Kanäle durch das auf dieser Website verwendete Sharing-Tool Shareaholic. Diese Website verwendet Social Plugins der sozialen Netzwerke Facebook (www.facebook.com), Twitter (www.twitter.com) und Google (www.google.com). Betreiber sind Facebook Inc., 1601 S. California Ave, Palo Alto, CA 94304, USA (Wenn jemand außerhalb der USA oder Kanada lebt, dann ist folgende Stelle für die Verarbeitung personenbezogener Daten verantwortlich: Facebook Ireland Ltd., 4 Grand Canal Square, Grand Canal Harbour, Dublin 2, Ireland. ), Twitter Inc., 795 Folsom St., Suite 600, San Francisco, CA 94107, USA sowie Google Inc., 1600 Amphitheatre Parkway, Mountain View, CA 94043, USA. Wir nutzen Social Media (also soziale Netzwerke und Plattformen), um dort Beiträge bzw. Inhalte zu teilen und mit Nutzern zu kommunizieren. Wenn Du die jeweiligen Social Media Plattformen bzw. Netzwerke nutzt, dann gelten jeweils die Datenschutzbestimmungen und Geschäftsbedingungen der jeweiligen Betreiber (also z.B. Google, Facebook und Twitter). Bei der Kommunikation mit uns über Social Media werden Daten gesendet, verarbeitet und gespeichert von uns und vom Betreiber der Plattformen bzw. Netzwerke. Grundlage hierfür ist unser berechtigtes Interesse gemäß Art. 6 Abs.1 lit. f DSGVO, denn wir haben ein berechtigtes Interesse, mit unseren Nutzern zu kommunizieren. Deine Daten werden ausschließlich dafür verwendet, um Deine Anfrage zu bearbeiten und werden nicht an Dritte weitergegeben. Die Daten werden solange gespeichert, wie es für den Zweck erforderlich ist. Du hast jederzeit die Möglichkeit, der Speicherung bzw. Verarbeitung Deiner Daten zu widersprechen. Jedoch kann in einem solchen Fall die Konversation nicht fortgeführt werden. Wer eine Webseite mit einem sozialen Plug-In aufruft, ermöglicht es den sozialen Netzwerken wie Facebook oder Google, verschiedene Daten zu erheben. Dazu gehören u.a. das Datum und die Uhrzeit des Besuchs auf der betreffenden Webseite, die Internetadresse oder URL, auf der sich der Besucher befindet sowie technische Daten über die IP-Adresse, den verwendeten Browser und das verwendete Betriebssystem des Besuchers zudem die Nutzerkennnummer, wenn der Besucher auf Facebook oder Google eingeloggt ist. In diesem Fall kann Facebook den Besuch Deinem Facebook-Konto oder Google-Konto zuordnen. Informationen zur Datenerhebung und Nutzung entnehme bitte den Datenverwendungsrichtlinien von Facebook, Twitter Datenschutzrichtlinie und Datenschutzrichtlinien von Google. Unsere Seiten enthalten Verlinkungen zum sozialen Netzwerk Facebook und Möglichkeiten zum Liken, Teilen und Folgen über das Plugin Shareaholic (siehe dazu auch den entsprechenden Teil der Datenschutzerklärung von Shareaholic auf dieser Seite). Anbieter ist die Facebook Inc., 1 Hacker Way, Menlo Park, California 94025, USA. Wenn jemand außerhalb der USA oder Kanada lebt, dann ist folgende Stelle für die Verarbeitung personenbezogener Daten verantwortlich: Facebook Ireland Ltd., 4 Grand Canal Square, Grand Canal Harbour, Dublin 2, Ireland. Die Verlinkung und Funktionen des Plugins erkennen Sie an Symbolen, die das Facebook-Logo bzw. den Daumen nach oben enthalten bzw. dem Schriftzug “find us on (Facebook)” oder an ähnlichen eindeutigen Hinweisen auf Facebook auf unseren Seiten. Die Verwendung der Facebook-Plugins erfolgt auf Grundlage von Art. 6 Abs. 1 lit. f DSGVO. Wir haben ein berechtigtes Interesse an einer möglichst umfangreichen Sichtbarkeit in den Sozialen Medien. Auf unseren Seiten sind Funktionen des Dienstes Twitter eingebunden. Diese Funktionen werden angeboten durch die Twitter Inc., 795 Folsom St., Suite 600, San Francisco, CA 94107, USA. Durch das Benutzen von Twitter und der Funktion “Re-Tweet” werden die von Dir besuchten Webseiten mit Ihrem Twitter-Account verknüpft und anderen Nutzern bekannt gegeben. Dabei werden auch Daten an Twitter übertragen. Die Verwendung des Twitter-Plugins erfolgt auf Grundlage von Art. 6 Abs. 1 lit. f DSGVO. Wir haben ein berechtigtes Interesse an einer möglichst umfangreichen Sichtbarkeit in den Sozialen Medien. Auf unserer Website nutzen Plugins der Website YouTube. Betreiber der Seiten ist die YouTube, LLC, 901 Cherry Ave., San Bruno, CA 94066, USA. Wir nutzen YouTube im erweiterten Datenschutzmodus. Dieser Modus bewirkt laut YouTube, dass YouTube keine Informationen über die Besucher auf dieser Website speichert, bevor diese sich das Video ansehen. Die Weitergabe von Daten an YouTube-Partner wird durch den erweiterten Datenschutzmodus hingegen nicht zwingend ausgeschlossen. So stellt YouTube – unabhängig davon, ob Du Dir ein Video ansiehst – eine Verbindung zum Google DoubleClick-Netzwerk her. Sobald Du ein YouTube-Video auf unserer Website startes, wird eine Verbindung zu den Servern von YouTube hergestellt. Dabei wird dem YouTube-Server mitgeteilt, welche unserer Seiten Du besucht hast. Wenn Du in Deinem YouTube-Account eingeloggt bist, ermöglichst Du YouTube, Dein Surfverhalten direkt Deinem persönlichen Profil zuzuordnen. Dies kannst Du verhindern, indem Du Dich aus Deinem YouTube-Account ausloggst. Des Weiteren kann YouTube nach Starten eines Videos verschiedene Cookies auf Deinem Endgerät speichern. 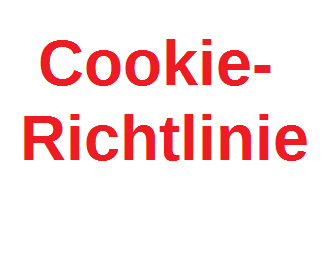 Mit Hilfe dieser Cookies kann YouTube Informationen über Besucher unserer Website erhalten. Diese Informationen werden u. a. verwendet, um Videostatistiken zu erfassen, die Anwenderfreundlichkeit zu verbessern und Betrugsversuchen vorzubeugen. Die Cookies verbleiben auf Ihrem Endgerät, bis Du sie löschst. Weitere Informationen über Datenschutz bei YouTube findest Du in dieser Datenschutzerklärung: https://www.youtube.com/t/privacy_at_youtube. Auf dieser Seite benutzen wir den Online-Zahlungs-Dienst PayPal (Spendenbutton und/oder Link). Mit PayPal kannst Du uns auf einfache Art und Weise eine Unterstützung in Form von Geld senden. Anbieter dieses Zahlungsdienstes ist die PayPal (Europe) S.à.r.l. et Cie, S.C.A., 22-24 Boulevard Royal, L-2449 Luxembourg (in diesem Abschnitt als “PayPal” bezeichnet). Bitte beachte, dass wir als Privatpersonen keine Spendenbescheinigungen ausstellen können. Ein steuerlicher Abzug Deiner Unterstützung ist deshalb leider nicht möglich. Die Übermittlung Deiner Daten an PayPal erfolgt auf Grundlage von Art. 6 Abs. 1 lit. a DSGVO (also Deine Einwilligung) und Art. 6 Abs. 1 lit. b DSGVO (Verarbeitung zur Erfüllung einer Schenkung). Du kannst Deine Einwilligung zur Datenverarbeitung jederzeit widerrufen, aber ein Widerruf wirkt sich nicht auf die Wirksamkeit von in der Vergangenheit liegenden Datenverarbeitungsvorgängen aus. Diese Internetseite enthält neben Facebook, Google+ und Twitter noch weitere Social Buttons von anderen Social Media Diensten. Nach dem Anklicken der eingebundenen Grafik wirst Du auf die Seite des jeweiligen Anbieters weitergeleitet. Informationen zum Umgang mit Deinen personenbezogenen Daten bei Nutzung dieser Webseiten entnehme bitte den jeweiligen Datenschutzbestimmungen der Anbieter. Wenn Du diese Social Buttons bzw. Funktionen zum Teilen nutzt, dann willigst Du damit ausdrücklich in die Übermittlung, Speicherung, Verarbeitung, Auswertung etc. Deiner Daten ein, sie erfolgt auf Grundlage von Art. 6 Abs. 1 lit. a DSGVO (also Deine Einwilligung). Du kannst Deine Einwilligung zur Datenverarbeitung jederzeit widerrufen, aber ein Widerruf wirkt sich nicht auf die Wirksamkeit von in der Vergangenheit liegenden Datenverarbeitungsvorgängen aus. Informationen dazu auch unter: Datenschutzerklärung von Shareaholic und im Abschnitt über das Shareaholic-Plugin in dieser Datenschutzerklärung. Dieser Internetauftritt enthält Shareaholic-Plugins, die Dir das Setzen von Bookmarks bzw. das gemeinsame Nutzen interessanter Website-Inhalte ermöglichen. Bei der Verwendung von Shareaholic kommt es zum Einsatz von Cookies. Die dabei erzeugten Daten (wie z. B. Nutzungszeitpunkt, Browser-Sprache und IP-Adresse) werden an die Shareaholic Inc., Dogpatch Labs 1, Cambridge Center, Suite 600, Cambridge, MA 02142 übertragen und auf Servern in den USA und anderen Ländern verarbeitet. Nähere Informationen zur Datenverarbeitung durch Shareaholic und dem von der Shareaholic Inc. gepflegten Datenschutz findest Du unter http://www.shareaholic.com/privacy/. Diese Website enthält insbesondere Angaben zur Art der verarbeiteten Daten sowie deren Verwendungszweck. Eine Verarbeitung der betroffenen Daten durch den Betreiber dieser Seite findet nicht statt. Mit Nutzung des Shareaholic-Buttons erklärst Du Dich mit der Datenverarbeitung durch Shareaholic Inc. einverstanden, und zwar in dem aus der Website http://www.shareaholic.com/privacy/ ersichtlichen Umfang. Du kannst der Nutzung der Daten jederzeit durch Einsatz eines Opt-out Cookies unter http://www.shareaholic.com/privacy/choices widersprechen. Näheres hierzu ergibt sich ebenfalls aus der vorhergenannten Website der Shareaholic Inc.
Mit Nutzung des Shareaholic-Plugins zum Teilen der Beiträge willigst Du in die Übertragung, Speicherung und Verarbeitung der für das Teilen unserer Beiträge notwendigen Daten auf Grundlage Deiner Einwilligung (Art. 6 Abs. 1 lit. a DSGVO) ein. Du kannst Deine Einwilligung jederzeit widerrufen. Dazu reicht eine formlose Mitteilung per E-Mail an die verantwortliche Stelle. Die Rechtmäßigkeit der bereits erfolgten Datenverarbeitungsvorgänge bleibt vom Widerruf unberührt. Jede sonstige mit diesem Plugin zusammenhängende Übertragung, Speicherung und Verarbeitung von Daten stellt ein berechtigtes Interesse im Sinne von Art. 6 Abs. 1 lit. f DSGVO dar, da wir aufgrund des Zweckes dieser Internetseite ein starkes Interesse daran haben, unsere Nutzer bei der Verbreitung der Besten Botschaft Der Welt durch Bereitstellung einfacher und bequemer technischer Möglichkeiten zum Teilen zu unterstützen! Bitte informiere Dich zu den einzelnen Datenschutzerklärungen der weiteren Social Media Buttons über eine Internetsuchmaschine. Du hast die Möglichkeit, Dich per E-Mail über neue Blog-Beiträge informieren zu lassen. Hierzu nutzen wir die Dienste von Aut O’Mattic A8C Ireland Limited, Business Centre, No.1 Lower Mayor Street, IFSC Dublin 1, IRELAND (Aut O’Mattic). Dabei werden folgende Daten übertragen, gespeichert bzw. verarbeitet: Deine E-Mail-Adresse und die ID unseres Blogs. Bei erstmaliger Anmeldung werden zusätzlich die Serverdaten IP-Adresse, URIs und die HTTP request headers abgefragt als Schutz vor Spam bzw. missbräuchlicher Nutzung. Bei Anmeldung bekommst Du eine E-Mail in der Du zur Einwilligung einen Link anklicken musst um Dein Abonnement zu aktivieren. In den Benachrichtigungsemails findest Du auch einen Link, wie Du Dich aus dem Abo austragen kannst bzw. wo Du Deine Einstellungen bearbeiten kannst. Deine E-Mail-Adresse wird nur für den hier beschriebenen Zweck genutzt. Die Übertragung, Speicherung und Verarbeitung der für das (Beitrags)-E-Mail-Abonnement notwendigen Daten erfolgt auf Grundlage Deiner Einwilligung, die Du ausdrückst, wenn Du Dich in das E-Mail-Abo einträgst (Art. 6 Abs. 1 lit. a DSGVO in Verbindung mit Art. 28 DSGVO. Weiterhin haben wir einen Auftragsverarbeitungsvertrag mit Aut O’Mattic abgeschlossen, durch den die Einhaltung des Datenschutzes und der Datensicherheit geregelt ist. Weitere, allgemeine Informationen zum E-Mail-Abo findest Du auf der Seite “E-Mail-Abo”. Wenn Du auf dieser Website einen (meist öffentlich sichtbaren) Kommentar hinterlässt, dann werden neben dem Kommentar auch Angaben zum Zeitpunkt der Erstellung des Kommentars, Deine E-Mail-Adresse und evtl. auch der gewählte Nutzername gespeichert. Bitte beachte auch die Hinweise des Dienstes Gravatar in dieser Datenschutzerklärung, denn wir verwenden diesen Service um die Kommentare aufzuwerten. Du kannst auswählen, dass Dein Browser sich merkt, mit welchem Namen, E-Mail-Adresse und Website Du kommentiert hast. Dabei werden 2-3 Cookies (beginnend mit comment_author) gesetzt. Du kannst das aktivieren, indem Du das Häkchen bei „Save my name, email, and website in this browser for the next time I comment.“ setzt. Bitte beachte auch die Informationen zu Cookies in dieser Datenschutzerklärung. Die Speicherung der Kommentare und der damit zusammenhängenden Daten erfolgt auf Grundlage Deiner Einwilligung (Art. 6 Abs. 1 lit. a DSGVO). Du kannst Deine Einwilligung jederzeit widerrufen. Dazu reicht eine formlose Mitteilung per E-Mail an die verantwortliche Stelle. Die Rechtmäßigkeit der bereits erfolgten Datenverarbeitungsvorgänge bleibt vom Widerruf unberührt. Weitere, allgemeine Informationen zur Kommentarfunktion findest auf der Seite “Hinweise zur Kommentarfunktion”. IP-Adresse: Wenn Du einen Kommentar hinterlässt, dann wird Deine IP-Adresse dabei für 7 Tage gespeichert und dann automatisch gelöscht. Dies ist notwendig, da wir diese Daten benötigen, um im Falle von Rechtsverletzungen (z.B. Beleidigungen oder verbotene Propaganda) gegen den Verfasser vorgehen zu können bzw. um Anfragen der zuständigen Behörden dazu nachkommen zu können. Dies stellt ein berechtigtes Interesse im Sinne von Art. 6 Abs. 1 lit. f DSGVO dar. Kommentarabo: Wenn Du einen Kommentar hinterlässt, dann hast Du die Möglichkeit auch die nachfolgenden Kommentare zu abonnieren. Du bekommst dann automatisch eine Information per Email, sobald es zu dem von Dir kommentierten Beitrag neue Kommentare gibt. Setze dazu ein Häkchen bei „Notify me of follow-up comments by email“. Hierzu nutzen wir die Dienste von Aut O’Mattic A8C Ireland Limited, Business Centre, No.1 Lower Mayor Street, IFSC Dublin 1, IRELAND (Aut O’Mattic). Bei der Anmeldung zum Kommentarabo erhältst Du eine Bestätigungsemail, um zu prüfen, ob Du der Inhaber der angegebenen E-Mail-Adresse bist. Du kannst das Kommentarabo jederzeit über einen Link in den Info-Mails abbestellen. Die im Rahmen des Abonnierens von Kommentaren eingegebenen Daten werden in diesem Fall gelöscht; wenn Du diese Daten für andere Zwecke und an anderer Stelle (z.B. E-Mail-Abo) an uns übermittelt hast, verbleiben die jedoch bei uns. Die Übertragung, Speicherung und Verarbeitung der für das (Kommentar)-E-Mail-Abonnement notwendigen Daten erfolgt auf Grundlage Deiner Einwilligung, die Du ausdrückst, wenn Du Dich in das E-Mail-Abo einträgst (Art. 6 Abs. 1 lit. a DSGVO in Verbindung mit Art. 28 DSGVO. Weiterhin haben wir einen Auftragsverarbeitungsvertrag mit Aut O’Mattic abgeschlossen, durch den die Einhaltung des Datenschutzes und der Datensicherheit geregelt ist. Weitere, allgemeine Informationen zum Kommentarabo findest Du auf der Seite “Kommentar-Abos”. Speicherdauer von Kommentaren: Deine Kommentare und die damit verbundenen Daten (z.B. E-Mail-Adresse) werden gespeichert und verbleiben (z.T. öffentlich sichtbar) auf unserer Website, bis der kommentierte Inhalt vollständig gelöscht wurde oder die Kommentare aus rechtlichen Gründen gelöscht werden müssen (z.B. beleidigende Kommentare). Wir setzen innerhalb unseres Onlineangebotes und insbesondere im Blog den Dienst Gravatar der Aut O’Mattic A8C Ireland Limited, Business Centre, No.1 Lower Mayor Street, IFSC Dublin 1, IRELAND (Aut O’Mattic) ein. Gravatar ist ein Dienst, bei dem sich Nutzer anmelden und Profilbilder und ihre E-Mailadressen hinterlegen können. Wenn Nutzer mit der jeweiligen E-Mailadresse auf anderen Onlinepräsenzen (vor allem in Blogs) Beiträge oder Kommentare hinterlassen, können so deren Profilbilder neben den Beiträgen oder Kommentaren dargestellt werden. Hierzu wird die von den Nutzern mitgeteilte E-Mailadresse an Gravatar zwecks Prüfung, ob zu ihr ein Profil gespeichert ist, verschlüsselt übermittelt. Dies ist der einzige Zweck der Übermittlung der E-Mailadresse und sie wird nicht für andere Zwecke verwendet, sondern danach gelöscht. Die Nutzung von Gravatar erfolgt auf Grundlage unserer berechtigten Interessen im Sinne des Art. 6 Abs. 1 lit. f) DSGVO in Verbindung mit Art. 28 DSGVO, da wir mit Hilfe von Gravatar den Beitrags- und Kommentarverfassern die Möglichkeit bieten ihre Beiträge mit einem Profilbild zu personalisieren. Weiterhin haben wir einen Auftragsverarbeitungsvertrag mit Aut O’Mattic abgeschlossen, durch den die Einhaltung des Datenschutzes und der Datensicherheit geregelt ist. Durch die Anzeige der Bilder bringt Gravatar die IP-Adresse der Nutzer in Erfahrung, da dies für eine Kommunikation zwischen einem Browser und einem Onlineservice notwendig ist. Nähere Informationen zur Erhebung und Nutzung der Daten durch Gravatar finden sich in den Datenschutzhinweisen von Aut O’Mattic: https://automattic.com/privacy/. Wenn Nutzer nicht möchten, dass ein mit Ihrer E-Mail-Adresse bei Gravatar verknüpftes Benutzerbild in den Kommentaren erscheint, sollten Sie zum Kommentieren eine E-Mail-Adresse nutzen, welche nicht bei Gravatar hinterlegt ist. Wir weisen ferner darauf hin, dass es auch möglich ist eine anonyme E-Mailadresse zu verwenden. Nutzer können die Übertragung der Daten komplett verhindern, indem Sie unser Kommentarsystem nicht nutzen. Dieser Abschnitt der Datenschutzerklärung wurde erstellt mit dem Datenschutz-Generator.de von RA Dr. Thomas Schwenke und angepasst. Wenn Du uns per E-Mail kontaktierst, dann werden dabei Daten an uns übermittelt und von uns gespeichert und verarbeitet. Das sind z.B. Deine E-Mail-Adresse und der Inhalt Deiner E-Mail. Grundlage dafür ist unser berechtigtes Interesse an einer Kommunikation mit Nutzern, Interessenten und Kunden gemäß Art. 6 Abs.1 lit. f DSGVO in Verbindung mit Art. 28 DSGVO, denn wir haben einen Auftragsverarbeitungsvertrag mit dem Hoster (1 & 1 Internet SE, Eigendorfer Str. 57, 56410 Montabaur) abgeschlossen, durch den die Einhaltung des Datenschutzes und der Datensicherheit geregelt ist bzgl. der Server, über die unsere E-Mail-Kommunikation abgewickelt wird. Deine Daten werden ausschließlich dafür verwendet, um Deine Anfrage zu bearbeiten und werden nicht an Dritte weitergegeben. Die Daten werden solange gespeichert, wie es für den Zweck erforderlich ist. Du hast jederzeit die Möglichkeit, der Speicherung bzw. Verarbeitung Deiner Daten zu widersprechen. Jedoch kann in einem solchen Fall die Konversation nicht fortgeführt werden. Derzeitiger Stand ist 14. Juni 2018. Geändert wurde: es wurden doppelte Informationen zu Kommentaren, Blog-Abo und Email-abo entfernt. Diese Internetseite haben wir mit WordPress erstellt. Eine Plattform, die wir gerne weiterempfehlen.